After seeing and really enjoying the charming fairy tale Stardust at the theater last year, I was inspired to read Neil Gaiman's original illustrated novel that inspired the film's story and visual design. A few months ago while browsing the shelves at Strand, I stumbled upon another Gaiman original - the slim children's novel Coraline. Coraline (NOT CAroline, as the youthful protagonist insists, even when trapped in a terrifying alternate reality) is pleasantly creepy and surreal, bringing to mind classic Roald Dahl fantasies with a bit of R.L. Stine thrown in for good measure. 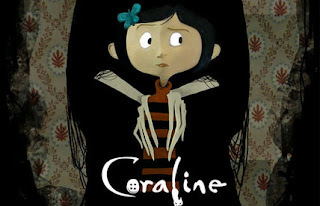 I was surprised - and very excited - to discover today that Coraline is being adapted as a stop motion (!!!) animated film, due in theaters in February of 2009. 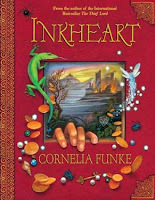 Inkheart - A ten year old girl discovers that her father can bring fictional characters to life - and must deal with the consequences. I read the book a couple of years ago but found it too dull/anti-climatic to bother with the sequel. With Paul Bettany and Helen Mirren in the cast, surely the adaptation won't be that bad? I haven't read The City of Ember, but I've heard that the book is much better than the plot summary would suggest. It's about a city of lights with a failing generator - is lack of energy conservation to blame? The film is due out in October and stars Saoirse Ronan of Atonement fame. Saoirse will also star as the murdered Susie Salmon in the long awaited adaptation of The Lovely Bones - the novel is not for children, but highly recommended! 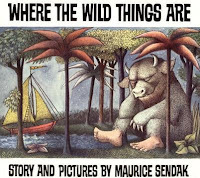 The much-hyped adaptation of Where the Wild Things Are is scheduled for 2009. I can't remember much about the book other than the fact that it was significantly shorter than 120 pages (standard screenplay length). Methinks that Van Allsberg adaptation techniques will be called in to round out the other 90 minutes, and with Spike Jonze at the helm, the filler will probably involve a wild thing crawling into the mind of another wild thing. It may not make any sense but it will probably be a lot of fun. Also in suspended development are adaptations to two more young adult novels I've read - and loved - A Great and Terrible Beauty from author Libba Bray and Ender's Game, Orson Scott Card's brilliant science fiction novel. I still have hopes that author Peter S Beale will stop being screwed over for the money owed to him from the success of the 1982 animated film The Last Unicorn and finally permit the rights for a new live-action adaptation. In the meantime I will just keep busy planning my own adaptation of The Princess Academy. Oh yes, that one is begging to become a film.